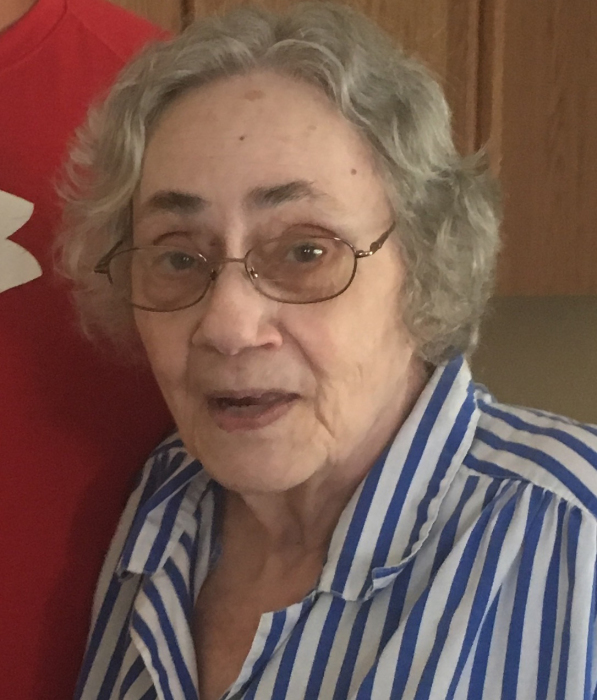 Nellie Mae Waldon Owens, 80, of Terre Haute passed away February 5, 2019 in Indianapolis surrounded by family. She was born in Vigo County, Indiana on February 8, 1938 to Marion Bert Waldon and Elizabeth Myrtie Stark Waldon. She attended Concannon School as a child. She also attended Rio Grande Church. She lived in Ehrmandale, Indiana for over 60 years. She enjoyed mushroom hunting and gardening. She also enjoyed watching her cowboy westerns and game shows. She was a homemaker and raised her kids to the best of her ability. She is preceded in death by her parents, husband, Robert Eugene Owens Sr. (d. 1981), a son, George M Owens (d. 2009), a daughter in law, Debra Yates-Owens (d. 2011), brothers, Roy, Jim, Gerald Waldon, and sisters, Norma, Pat, Mary, and Caroline. She is survived by sons, Robert E. Owens Jr., Jerry L Owens, Larry R Owens, Brian K Owens (Cheryl), Lawrence W Owens, daughters, Kathy L Owens Oden (Jesse), and Brenda K Owens Page (Dave), 14 grandchildren, 15 great grandchildren, and 2 great great grandchildren, and a very large extended family.